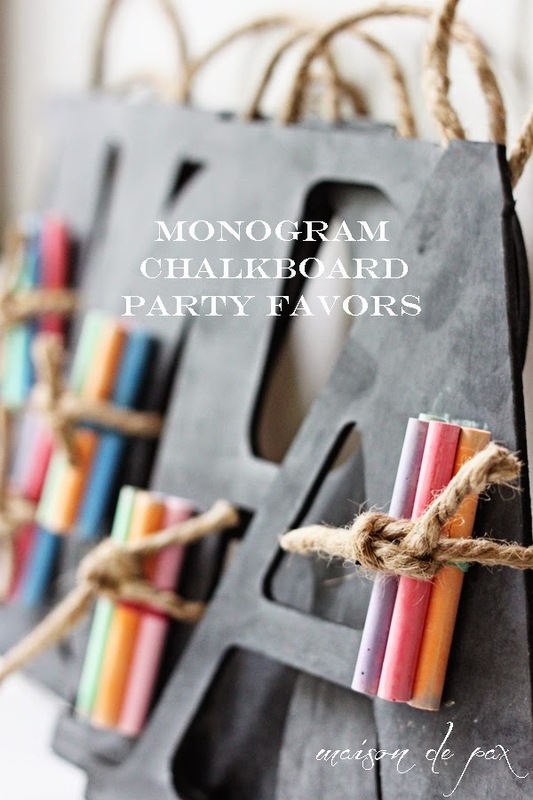 I have been a sucker for monograms and chalkboards for a long time, and I love this idea for fun monogram chalkboard party favors, but I also think these monogram chalkboards would be a really great teacher gift for the end of the year. And it is even better that they are really easy to make. I don't know about you, but it feels like the last month of school adds about a thousand activities to my calendar! You can check out how to make monogram chalk slates over at Maison de Pax.